The air has a bite to it and so do we. Cooler temps mean it’s almost time to hibernate, but not without a full stomach. Get your appetites ready to devour the best eats and drinks the Island has to offer as you have THE BEST WEEK! 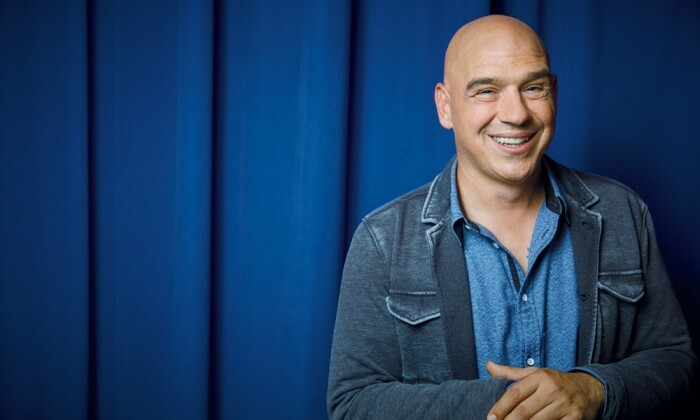 Be an audience member at The Chew to see what Michael Symon and company are cooking up. We caught up with the celebrity chef. Afterward, stop for dinner at Williston Park’s Copperhill, where chef Greg Kearns is living out his culinary dream. The Parrish Art Museum’s new Photorealism exhibit From Lens to Eye to Hand, which includes some never-before-seen pieces, is well worth the trip to the Hamptons. While in the area, grab a slice at Brunetti, perfectors of Neapolitan style pizza. Dinner and a movie anyone? We recommend Three Billboards Outside Ebbing, Missouri. Then have a meal from one of LI’s masterful chefs, like James Tchinnis of Swallow. He and his culinary compadres spill their secrets at The Chefs’ Table. Come out for Pulse’s annual Island Tasting, the culinary event of the year, featuring the most talented local restaurants serving up their signature dishes. As a nightcap, try a glass of mulled white wine—read our primer on this cold-weather treat. What’s better than a wine tasting? One at an aquarium. The Long Island Aquarium’s Fish & Sips event features more than 20 wineries. Back home, catch the highly anticipated return of Stranger Things. Star Gaten Matarazzo gives us the inside scoop on season two. Sink your teeth into a juicy ribeye at any of LI’s famed steakhouses. Learn the secrets to their unfailing recipe on page 108. Next up, drinks. Cork and Kerry in Floral Park and Rockville Centre has a reengineered margarita with a coconut-hibiscus infusion. Take a day trip to the North Fork, not for the wine but for the delectable food. Lauren Lombardi is keeping her family’s storied legacy alive at Mattituck’s Love Lane Market. For dinner, stop by Noah’s in Greenport, order the Crescent Farm Duck BBQ and thank us later.